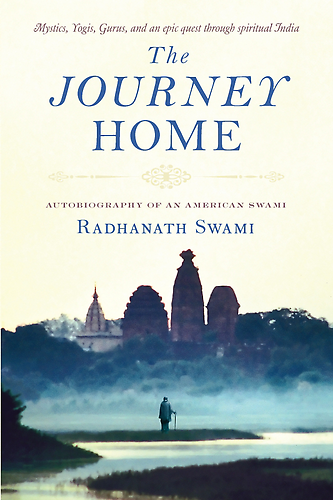 Question to Radhanath Swami from a Student: When we are introduced to spirituality, we realize that what we learn in academics has little relevance from an absolute perspective. Therefore we lose passion for learning mundane things. But after a while, sometimes, we lose passion even for spirituality. So we are left nowhere. Are you getting my point? 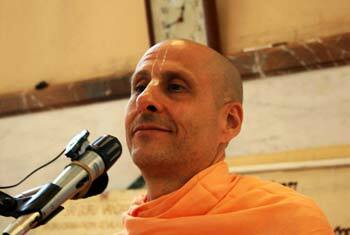 Radhanath Swami: That is a very distinguished way of saying that you are lazy (audience laugh.) We shouldn’t be lazy. A lazy person makes no progress in any field. Let us take Arjuna in the Mahabharath as an example. He was a solider. He studied at a college, the academy of Dronacarya. And Dronacarya was teaching him how to perform his profession, how to shoot arrows, how to organize military, how to fight with swords, etc. So many subjects he learnt for several years, and he learnt them well. In fact, whatever Dronacarya taught Arjuna, he listened so carefully that he perfected that subject par excellence by the next morning. He did his homework. When others were sleeping he was up all night, just studying, practicing…practicing… That was the kind of student he was. On the other hand, Duryodhana in the Mahabharatha learnt the same subjects. He also learnt how to fight with swords, clubs, arrows, etc. But the difference between Arjuna and Duryodhana was that Arjuna used all that he had learnt in the service of God, while Duryodhana used it for his own false ego, for his own greed. Yes, we should emulate the example of Arjuna. If you are in college, whatever you are studying, study well with the intention of using that in the service of God throughout your life. That intention will spiritualize your studies. And in order to have that honest intention, we should have a strong spiritual foundation. We should balance our education with our spiritual life so that we can integrate the two. If you are regularly reading the holy scriptures, if you are regularly chanting God’s names, if you are living a high moral life of integrity, if you are associating with people who are inspiring your heart with spiritual enthusiasm, and then if you study, you can study in spiritual consciousness: you can study as an offering to God, you can study with the intent of utilizing what you study for the welfare of humanity, in God’s service. We should not be lazy in our domestic responsibilities and we should not be lazy in our spiritual pursuits. We should be dynamic, we should be enthusiastic. So many of our devotees who are excellent in their spiritual character and spiritual practice are also top students in respectable colleges in Bombay and Poona. Why? Because they have a greater motivation to study than the rest. They are studying to use their work for God like Arjuna. 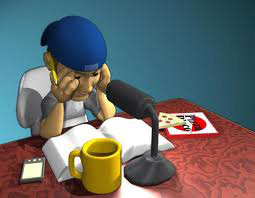 Others are studying because they have greed or because they want some sense of material security. There’s no higher, more powerful motivating factor than love of God. And if it’s used properly, it can be of the greatest benefit to us and to the whole world. So do not be lazy. Do not look for excuses. If you are going to be a student, be a student for God and if you are going to be a student for God, you should be the best student possible. Whatever we do for God, we should do it wholeheartedly. By the way, I know you are not lazy. I was speaking for others who may have any lazy propensities.